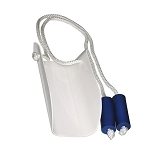 IMAK Universal Pil-O-Splint for nighttime use. 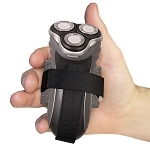 Patented night splint for conservative treatment of Carpal Tunnel. 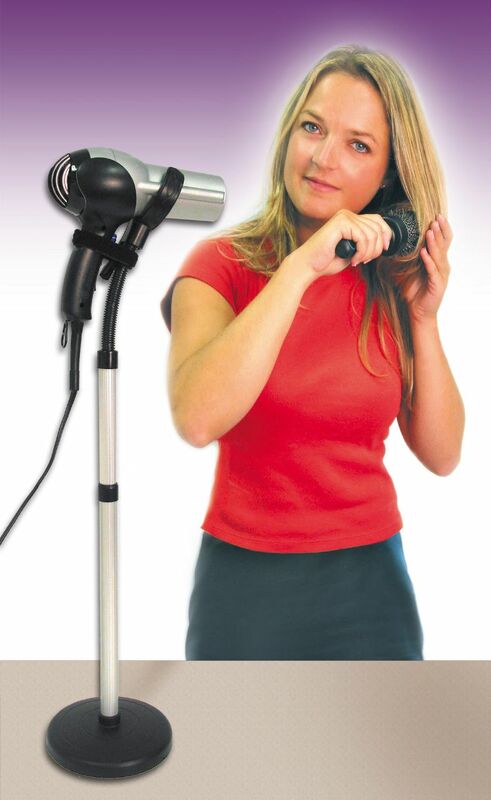 Beneficial for arthritic wrists, wrist pain, wrist tendonitis. 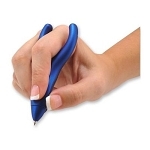 The IMAK Universal Pil-O-Splint helps relieve pain, tingling and numbness from Carpal Tunnel Syndrome. Rest and night splinting are the number one doctor-recommended conservative treatments for Carpal Tunnel Syndrome. 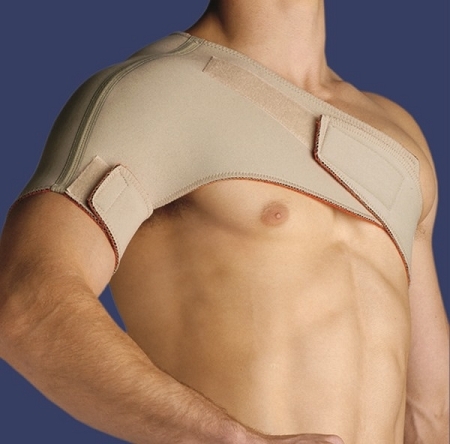 This splint provides exceptional comfort and maximum pain relief during rest and sleep. 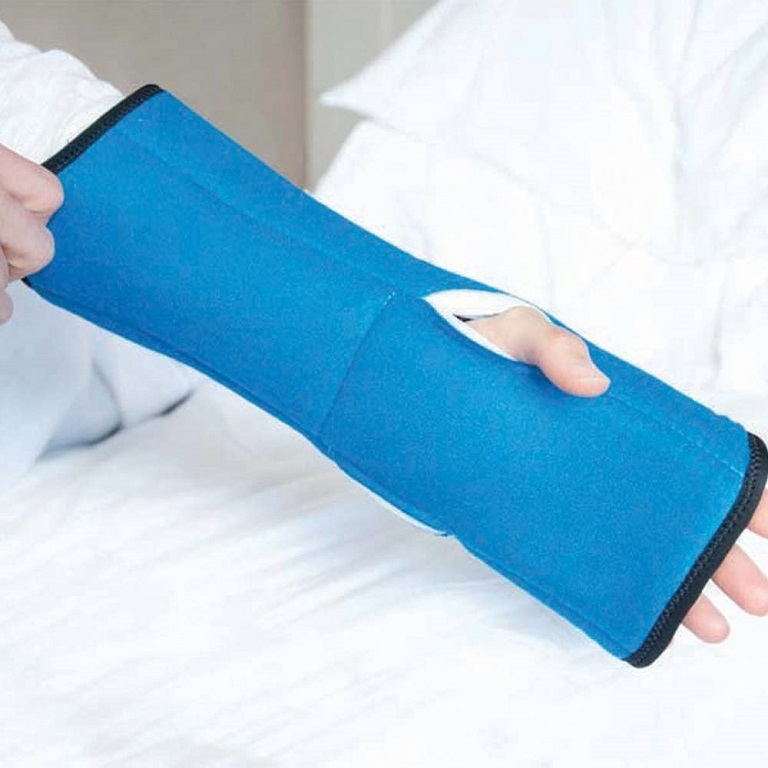 The Pil-O-Splint was designed by an orthopedic and hand surgeon to help patients sleep throughout the night. 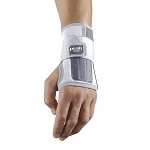 This patented splint has two rigid dorsal stays that are shaped to gently immobilize the wrist, hand, and fingers in a comfortable neutral healing position. 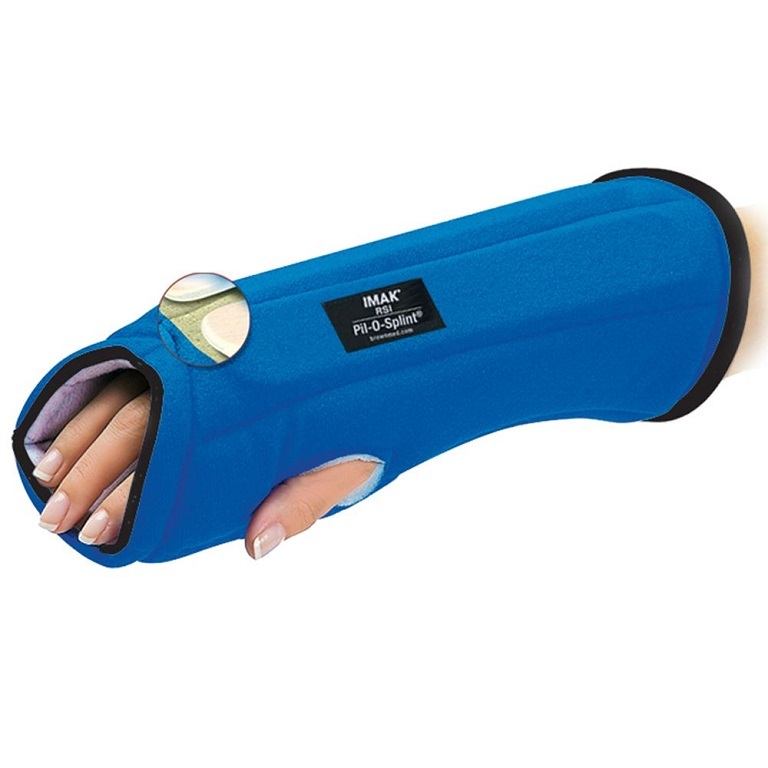 The splint prevents holding your hand in a harmful position while sleeping. People with arthritic wrists, wrist pain, wrist tendonitis, will find this resting splint provides maximum pain relief during rest and sleep. Fits: Left or Right hand, up to 12 inch circumference forearm. Measures: 13 inches long, 7.25 inches wide, 1.5 inches deep. This is VERY comfortable! 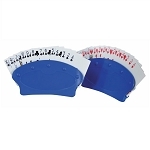 I've tried tons of wrist splints and this one is by for the softest. 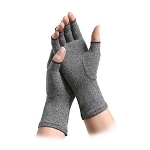 At first I thought it was too big (loose) but after using it for a week, it does the job without constricting my thumb or fingers, which other splints do and cut off my circulation. It's a bit "warm" so if you sweat easily and heat up quickly, this splint might not be for you. It's my new favorite splint. very nice product. My husband could not use it but I can. Q: 2 Questions: 1) Is it machine washable? 2) In a few of the pictures it looks like there is something separating her fingers- is there? 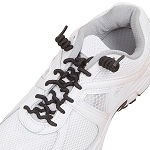 A: It is machine washable, be sure it is fastened to prevent lint build up. 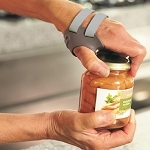 The splint is designed to gently immobilize the wrist, hand, and fingers in a neutral healing position. only the thumb is separated from the rest of the fingers. 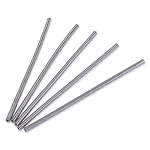 Q: Please tell me, can this be used on the upper arm for pain? A: No, the Universal Pil-O-Splint is intended to be used on the wrist and forearm.